Alice E. Hale, age 90 of Fairborn, formerly of Paintsville, KY, passed away Tuesday March 26, 2019 at Dayspring of Miami Valley. She was born January 28, 1929 in Paintsville, the daughter of the late Lewis and Dona (McKenzie) Blevins. Alice was a member of Faith Hill Church of God in Fairborn. She loved her family and she enjoyed cooking and tending to her flowers when she was able. In addition to her parents she was preceded in death by her husband, Claude in 1998; five sisters, Alma, Alka, Mary, Sola, Gracie; and two brothers, Lewis Jr. and Oakley. 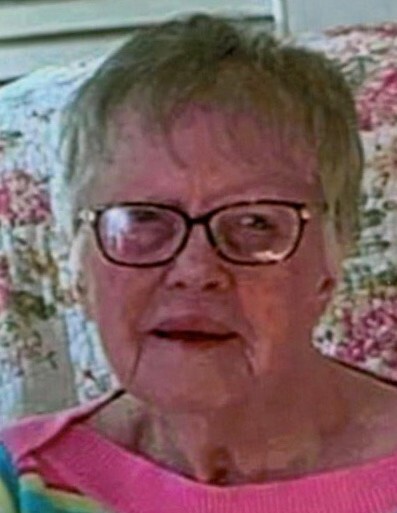 She is survived by three children, Donald (Evelyn) Hale, Cassie (Darrell) Handshoe, Claude Jr. (Terri) Hale; five grandchildren, Donnie (Maria), Angela (Cash), Kristie (Jason), Jenny, Danny; 11 great-grandchildren; a brother, Arville Blevins; lifelong friend, Delores Gilley; as well as numerous nieces, nephews, other extended family, and friends. The family will receive friends on Thursday March 28, 2019 from 6:00 until 8:00 P.M. at the Belton-Stroup Funeral Home, 422 E. Dayton-Yellow Springs Rd., Fairborn. Additionally, the family will receive friends on Friday March 29, 2019 starting at 5:00 P.M. at the Hall Funeral Home, 331 Ky Route 122, Martin, KY, where a funeral service will be held on Saturday March 30, 2019 at 11:00 A.M. Burial will follow at the Dave Hale Cemetery in Martin. Memorial contributions, if desired, may be made to St. Jude Children’s Research Hospital at www.stjude.org.